ONLINE PAYMENT OF THE 2019-20 MEMBERSHIP FEES WILL OPEN APRIL 23. TO AVOID DELAYS IN PROCESSING, PLEASE PAY YOUR FEES ONLINE. 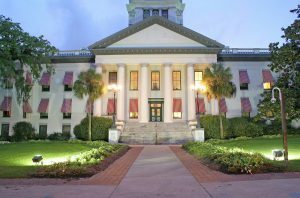 Florida Bar offices will be closed on Friday, April 19, and will reopen on Monday, April 22. 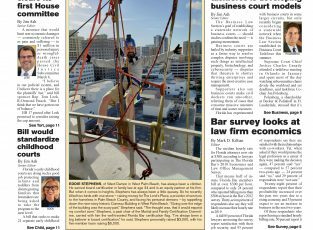 The 2019 Media Awards deadline has been extended to April 19! 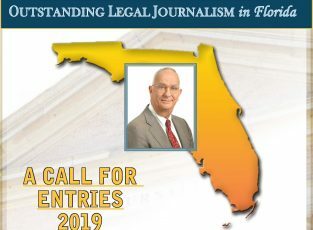 Make sure to nominate stellar legal journalism today! 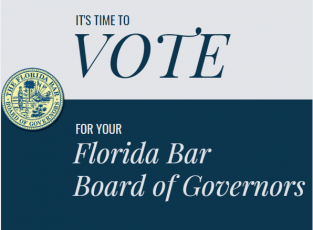 Runoff election – vote by April 22 for Board of Governors and Young Lawyers Board of Governors. Be sure to have your Member Portal login to register! Online Registration ends June 19. 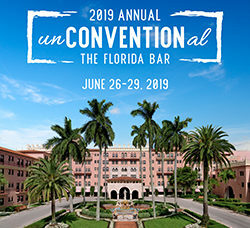 Join your colleagues & friends during the Annual Florida Bar Convention June 26-29 at the Boca Raton Resort & Club. Our hotel room block is still open and based on availability.